The ad agency keeps that family vibe in a fast-paced environment. 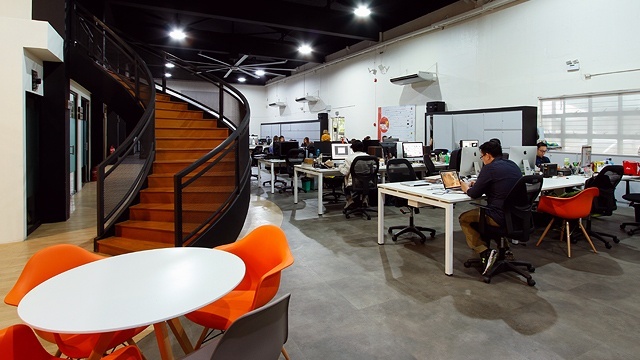 (SPOT.ph) While many workspaces have turned to the industrial and modern trend for their interiors, it’s rare that a company, much less an advertising agency, chooses to house itself and its largely millennial workforce in a warehouse. 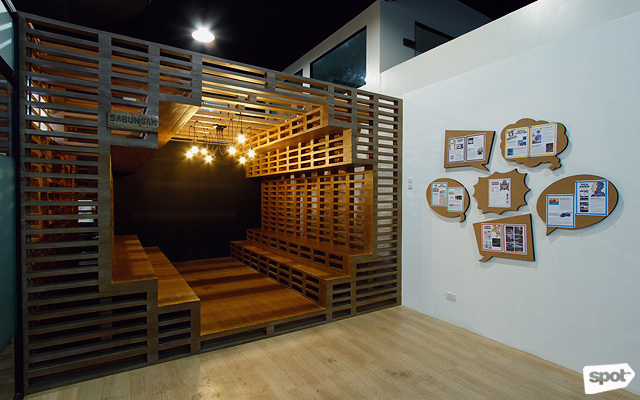 The Campaigns and Grey warehouse slash office located in Chino Roces Avenue, Makati, has hosted the agency for six years and exudes a sense of history and rootedness. Chino Roces Avenue is well-known for hosting creative enterprises, furniture and décor stores, restaurants, and hidden bars and clubs, so the agency’s employees enjoy this energy while walking or driving up to the front gate. The advertising agency is one of the few 360-degree (covering all avenues of advertising) agencies in the country, which started out as Campaigns, Inc. in 1986, and became part of Grey Global Group, a global advertising agency with its headquarters in New York City, in 1994. 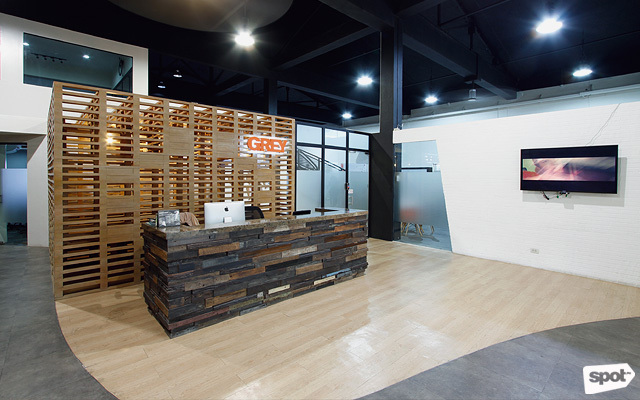 Grey was founded in 1917 (think Mad Men-era) and now has over 400 offices all over the world. It’s only fitting that the renovation of the Philippine office coincides with the 100-year anniversary of the parent company. Designed and built by the firm Mundo Design + Build, the space follows a very modern and industrial theme with wood, concrete, and steel materials. 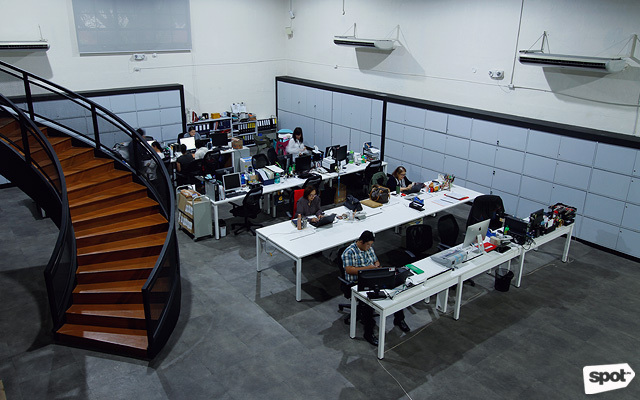 But unlike many offices, Campaigns and Grey has an entire warehouse structure to house their 70 or so employees, making it genuinely industrial in feel. “I wanted it to be true to the genesis of the structure,” explains Campaigns and Grey CEO Jose Carlo Consunji. “But I didn’t want it to be too self-consciously industrial,” he added. 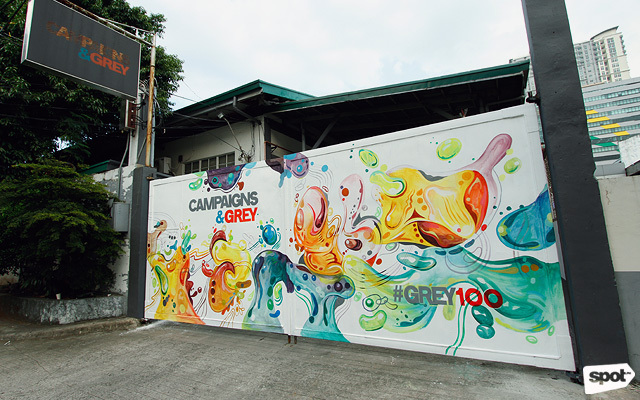 The large gate to the offices is decorated with a celebratory and colorful mural commemorating this occasion, which, of course, has a hashtag (#Grey100). After walking in, you enter the actual office space through a nondescript door, which opens to a large open warehouse and a spacious lobby. The ceilings are high and punctuated by huge ceiling fans, one of which is situated right above the reception. The reception desk, which was envisioned by Consunji, is made up of several pieces of recycled wood and topped with granite. “I wanted some sleekness and roughness at the same time,” he says, and explains that he specifically chose granite for the top and the mishmash design for the wood. 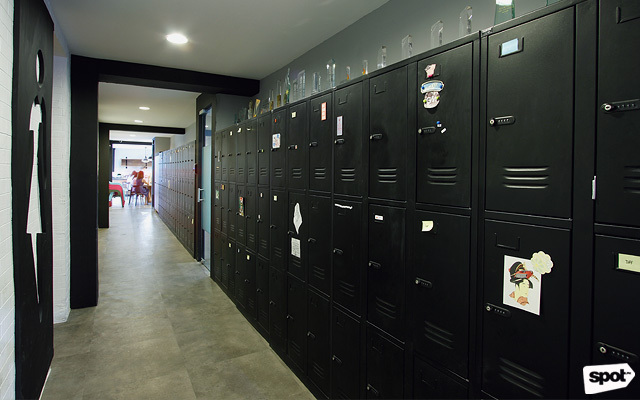 To the left of the reception area is a corridor housing a row of black office lockers. Each employee gets their own locker and can decorate it in any way that they see fit. This is in line with the aim of making the employees feel their environment is filled with the familiar. Across the lockers are the restrooms. As Consunji explains, this kind of layout where the restrooms are separated entirely from the main office area ensures that the company protects the security of their clients and their work. The corridor leads to the pantry, called Pancitan. 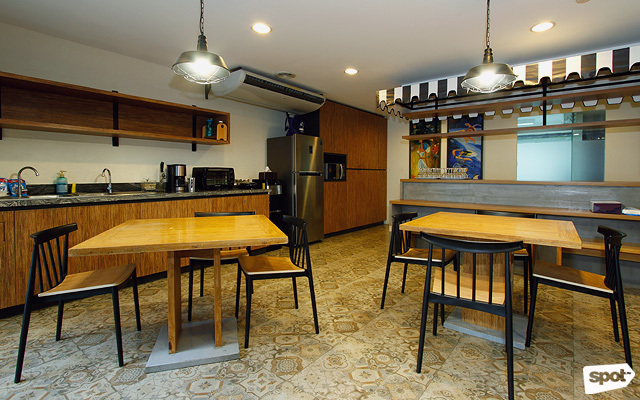 The room’s tiles, tables, and chairs are all reminiscent of an outdoor café instead of an office pantry. Paintings from Chito Maravilla, who was a former art director of the agency, decorate one wall of the room. According to Consunji, Pancitan is the busiest part of the office. 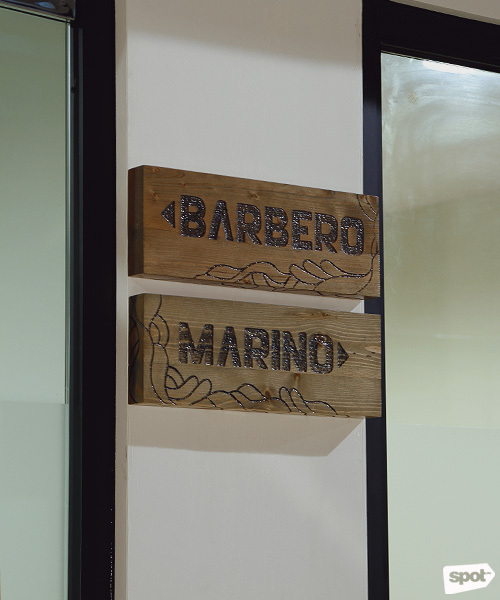 It's also the home of a monthly event for employees called the 5B’s (Beer, Birit, Barbecue Buwan-Buwan). A few more steps take you to the center of the action: The large open working space. Rows of white tables under tall black ceilings with more huge fans host the main offices of Campaigns and Grey. 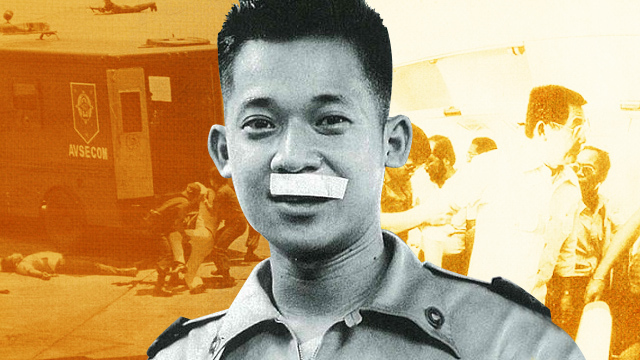 The different departments of the agency are loosely segregated between two desk groupings, but there are no barriers separating the workers. A projector and karaoke machine sit subtly in the middle of the room. They look well used, and Consunji admits that everyone’s big on karaoke here. The use of the color gray is not just a design feature but a hearkening back to the history of Grey, the ad agency, itself. Grey first got its name when its original partners glanced at their first offices and decided to name their company after the color of the walls. 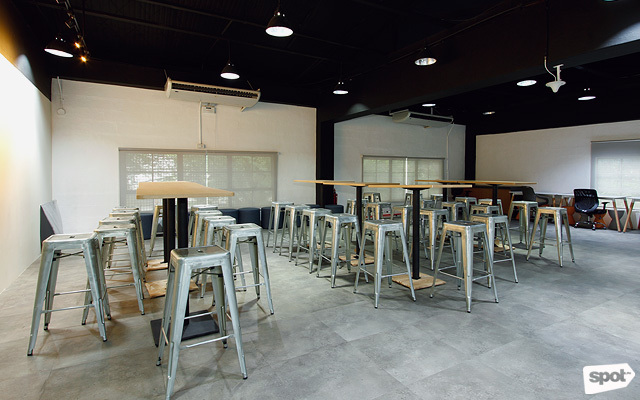 Now, the gray on the floors of the Philippine office serves as a neutral and durable foundation for the main working area. It might have been too cliché to have outright gray walls, so instead, the cabinets lining some sides of the walls are a pleasant light gray color. They aren’t your traditional filing cabinets, but simple shelves that neatly hide away paperwork without looking too stodgy. Stairs lead from the main office area up to the mezzanine where the CEO and the CFO hold offices, although, as Consunji explains, the space he occupies is similar to a conference room and is open to use by anyone when he isn’t there. 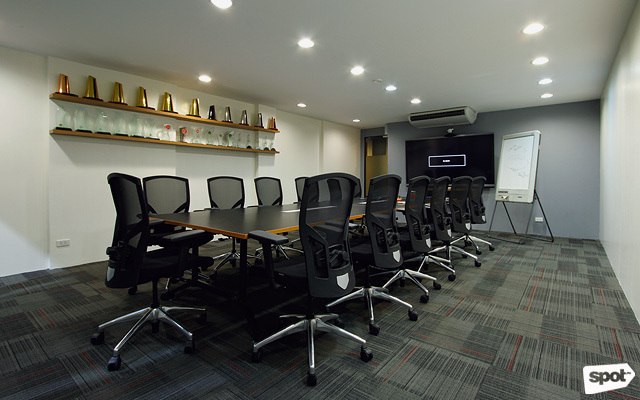 The mezzanine floor also hosts the War Room, or quiet brainstorming area. Those who need quiet time to hunker down and work or need to take some calls can easily come upstairs to work at the spacious War Room. The Sabungan is an enclave of bold wooden lines and angles with layers of benches. 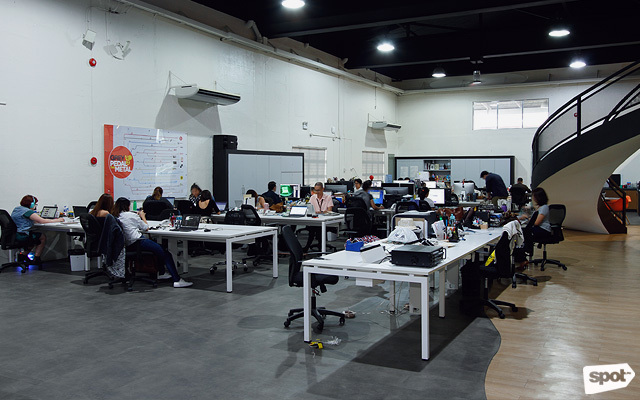 It’s an area for creative minds of the office to sit and cultivate their ideas, but also serves another purpose by being the perfect spot for employees and visitors alike to take photos. 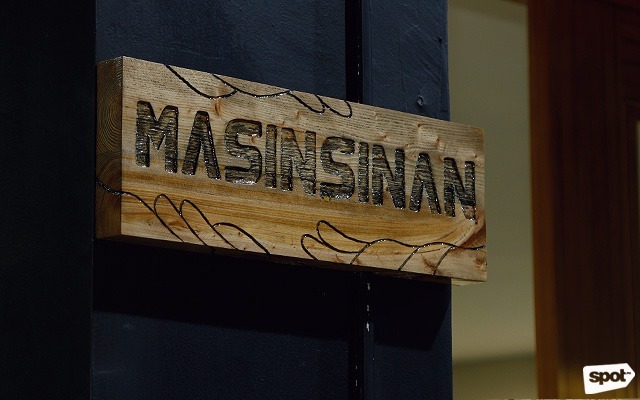 Every Grey office has an eye-catching structure or detail in their offices that exhibits something about the local culture, so the Sabungan is Consuji’s contribution to that tradition.